Good news for all AT&T Galaxy S6 & S6 Edge users, now you can update your phone with the latest Android 5.1.1 update. 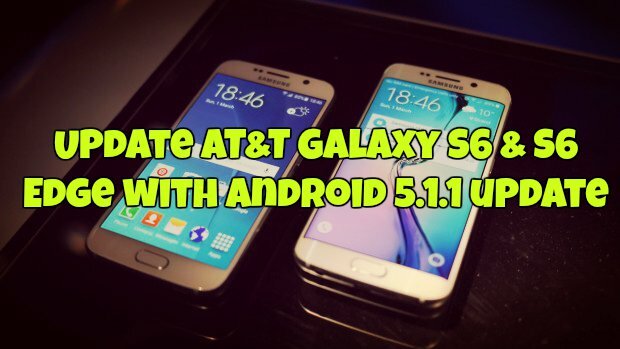 AT&T released the Android 5.1.1 update for its Galaxy S6 (build G920AUCU3BOI2) and Galaxy S6 Edge (G925AUCU3BOI2) android smartphone, If you are the user of these devices then follow the below mention guide and update your phone with the latest lollipop update. The guide is simple and takes a few minutes to install the Android 5.1.1 on Galaxy S6 & S6 Edge smartphone. To apply this update, you need a Firmware and ODIN flash tool to flash the build on your phone. Before you head to the guide, do take the full backup of your phone, because this method will wipe everything on your phone. Also, this will unroot your device, so if you care about root, don’t update to Android 5.1.1. So let’s take a look how to do that in simple and easy steps. Step 1. First download and install the Galaxy S6 & S6 Edge USB drivers here. And extract the zip file on your desktop and you will get the a file in .tar.md5 format now. Step 3. Download the Odin software here and extract the folder on your desktop. Step 4. Boot Galaxy S6/S6 Edge/S6 Edge into download mode. To do this, Switch off your phone and Press and hold the three buttons Volume down + Power + Home together until you see a warning screen. Now Press Volume Up to continue to download mode. Step 5. Once your phone in download mode, connect it the PC with USB cable. Step 6. Now run the ODIN exe file that you saved on your desktop in step 3. ODIN will recognize your phone and you will see the ADDED message on the ODIN screen. Step 7. Load the firmware file into Odin. Click the AP button on Odin and the select the .tar.md5 file of the firmware. Step 8. Make sure Re-partition check box is NOT selected, under the Options tab in the ODIN app. Step 9. Click the Start button on Odin. Now the flashing process will start on your phone and this will take some time. Once finishes, You’ll get PASS message as shown below. Step 10. 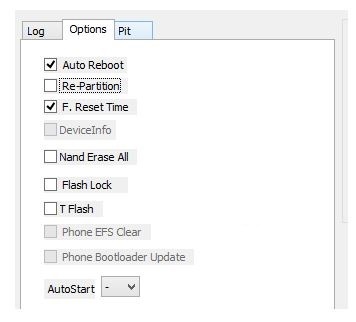 Now your phone will reboot automatically and this time you can disconnect your phone from the USB cable. First boot of the device may take time, so wait patiently again. Now your AT&T Galaxy S6 & S6 Edge running on the Android 5.1.1 Lollipop.